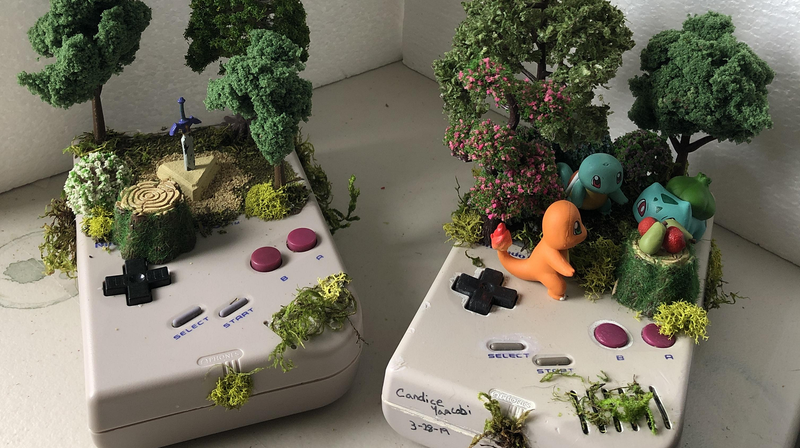 It turns out Game Boy shells make great dioramas. It turns out Game Boy shells make great dioramas. Reddit user trythisfuckingone recently shared pictures of Zelda and Pokemon nature scenes recreated with used Game Boy cases they ordered online and combined them with some faux-grass and tree miniatures.